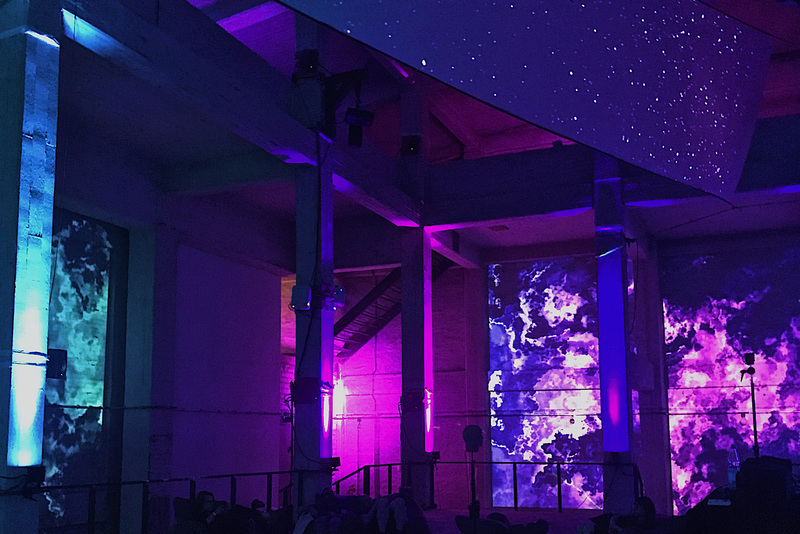 Audiovisual Performances and Installations, TechOpenAir Conference 2018, Funkhaus Berlin. In cooperation with Native Instruments, Adam Audio, UE University of Applied Sciences Europe. Students of UE University of Applied Sciences Europe’s MA Media Spaces and BA Film & Motion Design programs present interactive audiovisual installations in and around the Sound Chamber of Funkhaus. The theme RE / VOLVE follows the contemporary phenomenon of perpetual ideation and ever shorter product development cycles in the digital age. But the need to revolve is also at the center of art. Finding ways, thinking up something - artists know a lot about revolving, re-inventing and re-founding. This is the common ground, where software’s perpetual beta and art’s secret of permanent creation converge, where venture capital’s obsession meets the founder’s burn-out, where the DJ gets fixated on the loop. It is update and oblivion, it is the bugfix and the bug at the same time, it is where people, ideas and technology shove each other around with ever greater speed. It is the Möbius strip, where inside becomes outside becomes inside, it is the supercollider of ideas-frenzy: The endless loop of revolution in art, technology, and society. 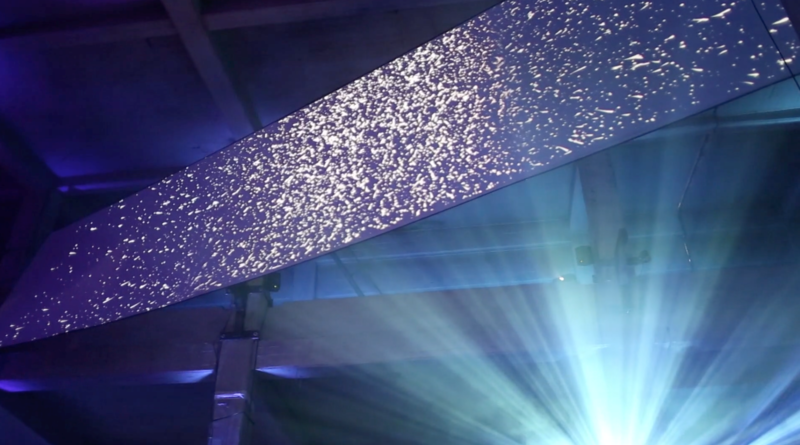 The main working materials for the installations are video mapping, generative animation, dynamic light and sound. Within the scope of the exhibition we aspire to emphasize spatial sonification and implement realtime / reactive technologies as well as possibilities for audience interaction. 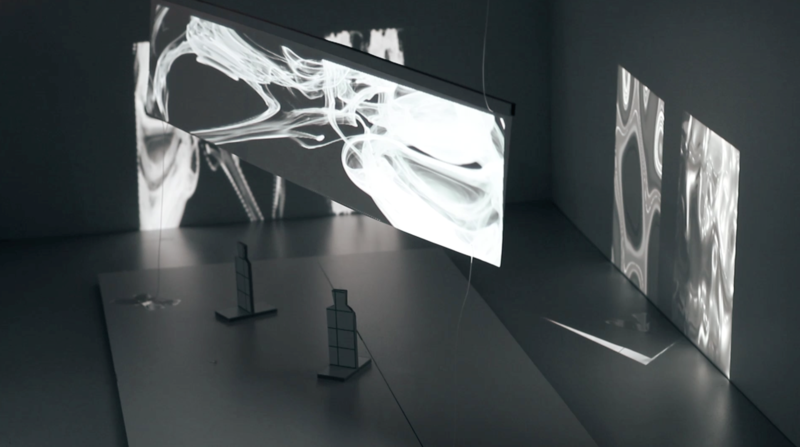 Solaris: Fanny Dreyer, Philip Hartmann, Luke Powers, Kerem Suntay, Manuel Tozzi. Unfamiliar Networks: Lars Christophersen, Andy Liu, Basel Nouri, Leonie Pfeiffer, Kzenya Rhyzova, Rodrigo Sanchez, Almut Siebel, Helin Ulas. White on White: Martina Illarregui, Aida Montazeran, Clara Pons, Rana Refaat, Hannah Schmidt, Oliver Torr. Claudia Rohrmoser & Florian Kühnle.